Spiderweb Software's Jeff Vogel is a veteran to the indie RPG industry of over 15 years. In that time, he has always stuck to making top-down, classic-style cRPGs, and he still hasn't deviated from that basic framework. Still, within that genre there can be a lot of variations. Linear or more free-roaming. Full of choice and consequence or more protective of the player. Party-based or single-player. Etcetera etcetera. 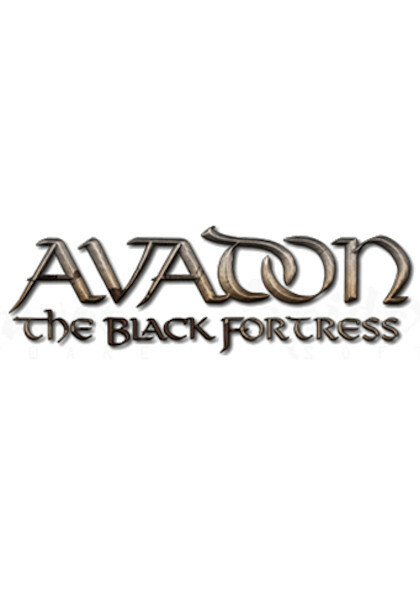 The studio recently released Avadon: The Black Fortress for Windows, after finishing up their Avernum franchise with Avernum 6 a year ago. Crafting sequels for a franchise always creates expectations. We always knew where a new Geneforge or Avernum would be set, roughly what character system it would come with, and how its progression would be structured. In launching a new franchise, especially an indie one, there is little that binds you in that way. Given a blank slate, I was very curious to see where Jeff Vogel would take his new franchise. One thing that should be kept in mind is that while there are a lot of of things that make Avadon different from Geneforge and Avernum, there are a lot of similarities too. Like older Spiderweb games, it's still a top-down turn-based RPG, with a heavy focus on exploration and turn-based party mechanics. Like other Spiderweb games, it has no music but pretty solid sound design. The graphics are the best Spiderweb has done so far but there's still a lot of asset recycling. They are functional and sufficient for many players, but won't exactly tempt people expecting anything close to mainstream AAA graphics. The interface is intuitive and easy to use, especially for Spiderweb veterans. Avadon gives us fairly typical high-fantasy fare, presenting us with magic-rich, medieval-type nations struggling with threats of wretches (goblins) and titans (giants), as well as upholding unsteady alliances with dragons and other powerful factions. Even the world map looks like it could come straight from the inside jacket of a fantasy novel, with an alliance of five nations called the Midlands Pact sitting in the middle, bordered by fallen empires or wild lands threatening their security. Where Avernum had its underground prison setting and Geneforge has its geneforging and rebellion, Avadon doesn't have an obvious hook. The franchise is named for the large fortress that sits at the junction of three nations, a power independent of each nation that acts to see that every nation follows agreed-upon rules and to aid nations that need help with border issues. This makes it pretty clear that the Avadon franchise is focused on the Midlands Pact, its internal and external issues, and the position the fortress holds there. As hooks go, an alliance of five nations in a typical high fantasy setting isn't the most interesting one. And if you just play a bit of the game, you might get the impression the setting is really bland and unoriginal. But the Midlands Pact has more potential than is immediately obvious. The game does a good job of not making its long-term story goals obvious right off the bat, and refrains from rubbing its message in your face. You progress slowly along the story to find more and more hints that the Pact is not as untroubled as the opening areas would have you believe. The five nations have a long history of strife and the Pact exists more out of necessity than mutual love. It is an uneasy alliance at best, and one forced both by external threats and by internal politicking. Like the best of fantasy, it is convincing because it is obviously realistic. You can instantly understand why the various issues highlighted in the game exist, from old border strife to uneasy alliances with necessary but unliked dragons. They're fantastical, but they're also plausible within the setting. Similarly, the game spends much of the story highlighting what being a Hand of Avadon the position bestowed upon the player from the start really means. Because the alliance is not the steadiest, it is stressed how important the respect for the fortress of Avadon is. It needs a veneer of invulnerability, that you discover to be beset in a variety of ways throughout the game. As a Hand, you represent this "invulnerable" fortress, and initially this meets the kind of subservient responses you would expect. But as you move into new areas, where Avadon's grip is less strong, you meet open or hidden defiance, and learn more about its actual power and how its used. I personally feel that this is the game's strongest point. A setting that looks like a boring old onion at the beginning carefully peels away its layers before your eyes in a (highly guided) storyline. The writing isn't always amazing and some NPCs tend to be too obvious exposition-dispensers, but the pacing of more and more details being unveiled, and the locations chosen to do so, are brilliantly set up to guide you so that major events in the storyline may still surprise you, but always make sense. They also create a situation where you are forced to choose between two sides, but they aren't clearly good or evil sides, instead providing realistic political choices for the player to take.